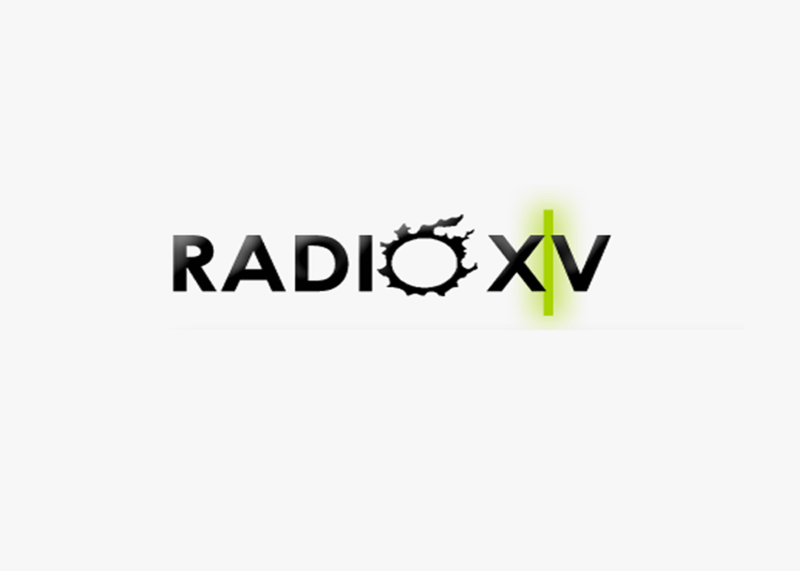 By far the most entertaining part of the Reigning Sun network that I worked on, Radio XIV was exactly what it sounds like. 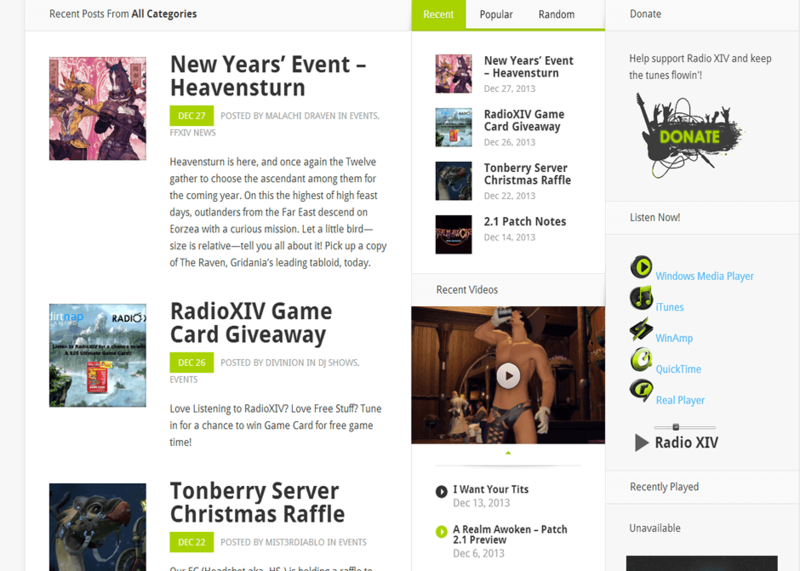 It was an internet radio station for the players of Final Fantasy XIV. It was a huge hit with the game’s community, but unfortunately I couldn’t continue running it after I quit playing FFXIV. The project’s style actually created itself. It all started when I saw the Nexus theme by Elegant Themes. It struck me as really stylish and sharp, and I had the urge to design a website using it. I had no idea what I wanted to use the theme on, but somehow I came up with the idea to make an internet radio station. The logo is pretty simple – it’s just the name of the radio station styled to match the logo of Final Fantasy XIV. 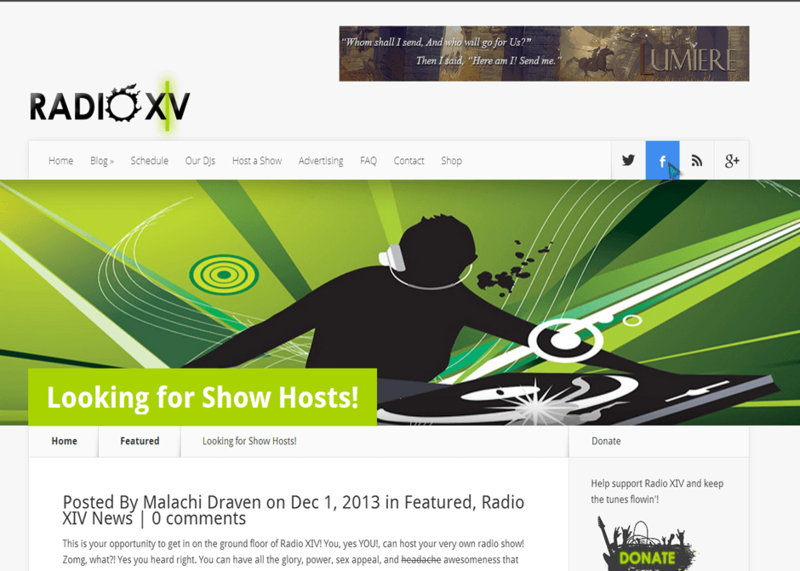 The website for Radio XIV was a stylish, magazine-esque blog. It had some important pages, such as information on being a DJ for the station and advertising on the station. But mostly it was just a news source for Final Fantasy XIV and the game’s community. I also built in the ability to steam the radio station straight from the website itself! The great part about this project was that it generated passive income from advertisements, more than any other site I had designed so far.